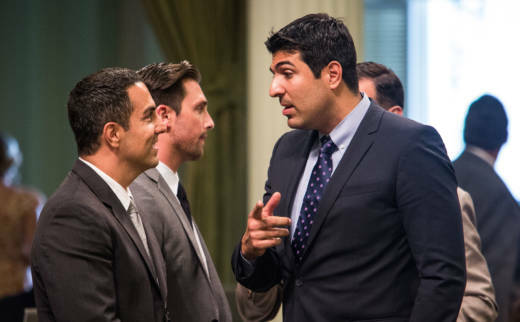 SACRAMENTO — The California Assembly said Monday it denied a former lawmaker's appeal of an investigation that found he sexually harassed a lobbyist in 2016. Former Assemblyman Matt Dababneh had appealed the finding that he likely pushed the lobbyist into a bathroom at a Las Vegas party and masturbated in front of her while urging her to touch him. Lobbyist Pamela Lopez publicly made the accusation against Dababneh last December and submitted a complaint to the Assembly Rules Committee, which hired an outside investigator. The lawyer hired by the Assembly to investigate the allegation interviewed more than 50 people and reviewed relevant documents, according to the letters released by the Assembly on Monday. In his appeal, Dababneh argued she did not interview some character witnesses he provided. He said he was denied due process because the Assembly didn't provide him with a copy of the investigation report.